The Pacific International Center for High Technology Research (PICHTR) works with the U.S. Army Garrison – Hawaiʻi Natural Resources Program under a cooperative agreement to oversee compliance with the Federal Endangered Species Act on the island of Oʻahu. The goal of the program is to effectively balance the requirements of the Army’s training mission with it’s natural resource responsibilities. Of the 400 federally listed threatened and endangered species in Hawaiʻi, the Army’s natural resource program is responsible for managing over 60, including plants, snails, a bird, insects and their critical habitat. 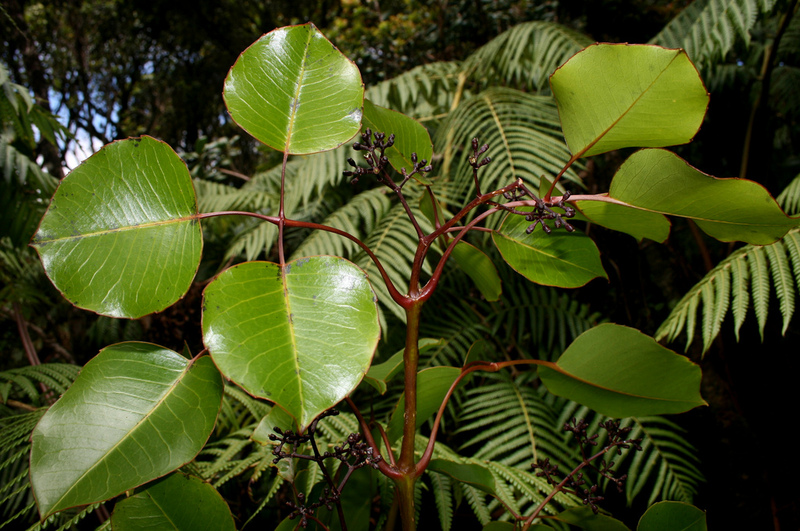 The endangered plants managed by the program represent some of the planet’s rarest – some having less than 50 individual plants left in the world. The Army’s natural resources program applies an ecosystem-based approach to managing its training lands to ensure species and the habitat to support them are restored and protected now and in the future. The program grows both endangered and common native plant species and outplants over 2,000 of them back into the wild each year.